The breakfast meeting will take place on Wed, April 12th, 2017 from 8:30 – 10:00AM and will be held at the Portland Country Club. 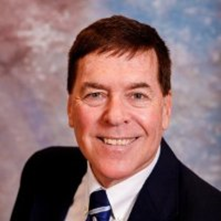 MAMP is excited to welcome Roger Ilsley (Essent Guaranty) as the April 2017 Breakfast Meeting guest speaker (Please see bio and topic below)! Roger Ilsley, has 25 years’ of training experience spanning the mortgage insurance, banking, consumer and financial services industries. Prior to joining Essent he worked as a Senior Training Instructor for a national financial services company delivering relationship sales and coaching workshops. Roger’s mortgage insurance background includes 10 years delivering business skills workshops to mortgage lenders in the US. Roger will be presenting one of Essent Guaranty's "Essentials Training Courses" titled "Understanding the Different Generations: Selling to Millennials". Please see course description below. Course Description: Get tips and techniques that will help you better understand and effectively communicate with baby boomers, Gen Xers and millennials. In this hands-on course, participants will learn how to develop communication strategies for each of these groups. Intended Audience: Mortgage professionals who want to understand the unique characteristics and needs of these different homebuyer groups so they can better communicate with each.